30 gauge PVC vinyl. 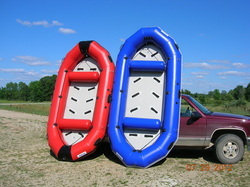 Are double chambered, with and without cup holders, bottoms, and backs. Sizes range from 38"-54". Our rafts are self bailing. 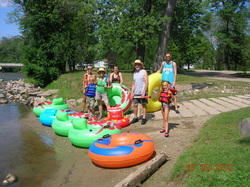 We have 6 person, and 8 person rafts. 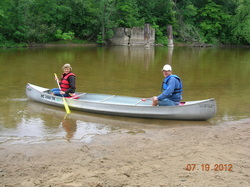 We have 16 and 17 ft. aluminum canoes. we have mostly Osaigan's but we also have a few Mich crafts. 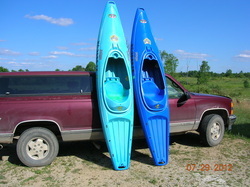 Our kayaks are Jackson's. We have both styles; open or enclosed. Our life vests are livery style.